Don't forget...don't miss the launch of the lovely new Tonic dies tonight on Ideal World with Jo at 9pm. As you would expect from Tonic, these dies are very versatile. The cup of cocoa die can be carefully snipped to become a cute cupcake. 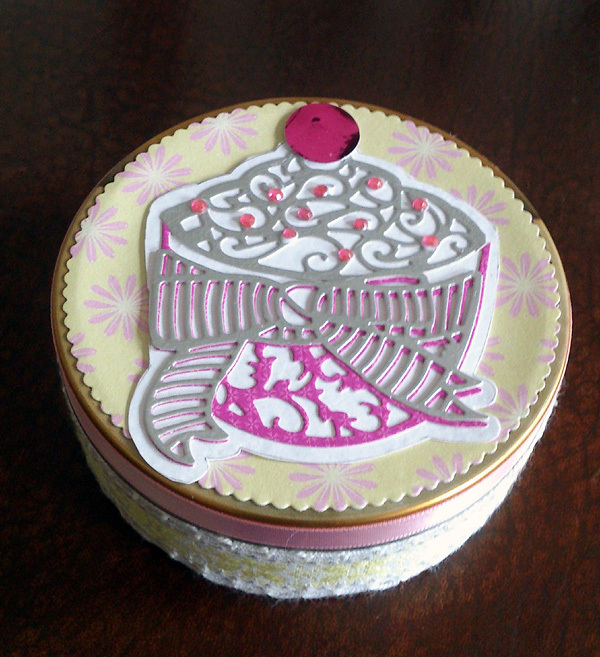 I've decorated a little sweetie tin with mine, but they would be fab for birthday cards, tea party invites or any other cupcake themed gift ideas. I'm currently in wet and windy Glasgow - I hope wherever you are that the weather has not affected you badly. Stay safe. Stay dry - and stay inside and do some crafting!